Living in luxury is no easy feat to accomplish. Decorating your home with small touches of elegance can give the feel of luxury without the price. 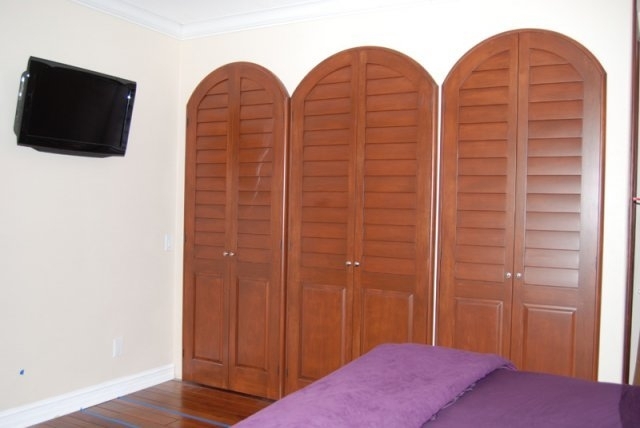 Wrap your home in elegance with a custom closet, and benefit from getting everything you need out of your closet. Fitting everything in and creating a clutter will no longer be a problem with a custom closet suited to fit all your space needs. Each closet will be different and maybe used for other purposes. With this in mind, deciding your “needs” is extremely important and will get the most out of each closet. Whether it is for a kids bedroom, a master his and her closet or a storage closet, it should be designed to make your life simpler. Choosing a custom closet style allows you the options necessary to make your closet awesome. A popular style choice is a boutique styled closet that accommodate nearly all of the needs for most people offering elegance along with space, organization, mirrors, plenty of hanging space, drawers and even a personal beauty section. These custom closets are popular for their space, and lavish feel of having your closet feel like a separate room. Many people don’t have the space to add in even more space for a custom closet, so a great alternative is an island style closet which contains more storage for clothes, shoes or whatever else needed while not taking up a ton of space. It also gives you the space on top of it and decorate or use for anything you need. With all of the options available these day for custom closets, it is wise to make a list of your “needs” and make sure that each of them is checked off when you make the final decision for your custom closet. There are unlimited resources online that can assist you when getting started and make your closet experience fun.